It used to be that you could deduct the taxes you paid to your state and local governments from your income for federal income tax purposes. Thus, if your gross income was $100,000, but you paid $15,000 in state and local taxes, your taxable income for federal tax purposes was only $85,000. Since individuals with $85,000 of income are taxed less than individuals with $100,000 of income, the net result of the state and local tax (SALT) deduction was lower federal income taxes. Because of the Republican tax plan (bill text, JCT budget effects, JCT distributional effects), the SALT deduction is now capped at $10,000. This cap has attracted some liberal ire and, according to Ben Casselman, sincere state-level efforts are underfoot to undermine it through various state-led shenanigans (see also Dylan Matthews). As far as I can tell, there are basically two schemes currently being discussed. The first scheme is to allow individuals to make “charitable contributions” to their states and receive a dollar-for-dollar credit on their state taxes for doing so. The second scheme is for states to switch from income taxes to employer-side payroll taxes coupled with earnings-related benefit payments. Since employers can still deduct state-level payroll taxes for federal income tax purposes and individuals can still deduct charitable contributions for federal income tax purposes, both schemes promise to effectively recreate the SALT deduction. The justifications for trying to recreate the SALT deduction are mostly bad, which is what you would expect because the SALT deduction is a bizarre and poorly-designed policy. The distribution of SALT benefits is extremely skewed towards rich people. Around 70 percent of the benefits flow to those with incomes over $200,000 per year while less than 8 percent flow to those with incomes below $100,000 per year. This is because, to get any benefit from SALT at all, you need to be rich enough for itemizing deductions to make sense. This is also because the value of the benefit is determined by each tax unit’s marginal tax rate and richer people have higher marginal tax rates than less rich people. The SALT deduction is also conceptually strange. The taxes people pay to state and local governments go to funding services provided by state and local governments, which means that the inhabitants of the state already get all of their money back in the form of schools, roads, welfare, and other benefits. Thus, it is hard to understand why those tax contributions should be partially offset by lower tax contributions to the federal government. To see how weird the SALT deduction really is, imagine a hypothetical state that taxes 100 percent of the income of its residents and then provides a benefit payment to each resident equal to 95 percent of taxes they contributed. The remaining 5 percent is retained to pay for the normal set of state and local government services. This hypothetical state would be no different than a state with a 5 percent flat income tax, except that the SALT deduction would allow every person in the 100-percent-tax state to claim a taxable income of $0 for federal income tax purposes. The reason this hypothetical seems unsettling is that it makes you think “wait a minute, they don’t really pay a 100 percent tax because they get 95 percent of it back in the form of a benefit payment.” But this is actually true of the 5 percent tax as well: they don’t really pay it because they get it back in the form of government services. If you think this is all far fetched and abstract, consider that all of the schemes discussed above take the form of collecting government revenue through some channel that results in a federal income tax deduction and then giving the money right back. The “charitable contribution” strategy gives all of the money right back and the payroll-tax strategy gives some of the money back through the corresponding earnings-related benefit. It is hard to understand how those plans differ from the unsettling 100-percent-tax scheme except in their magnitude. Although SALT is implemented as a tax deduction for mostly rich individuals, it is arguably more accurate to describe it as a transfer of funds from the federal government to state and local governments. Indeed, those who defend SALT often do so in these terms: it allows states to raise taxes higher than they might otherwise be able to because they know those they are levying the higher taxes on can partially offset them through reduced federal income taxes. Generally I am not a fan of transferring money from the federal government to state governments unless there is a recession. This is because state governments are not as good at spending money and, in many places, are quite cruel. But even if you are a fan of transferring money from the federal government to state governments, the SALT deduction is a practically inferior way to do it. It makes more sense to do block grants where you provide each government a certain sum of money for every person in their state or municipality. Alternatively, if you wanted to link the transfers to state and local taxes, you could just implement them as a tax match, e.g. for every $1 a state and local government collects in revenue, the federal government will send them 5 cents. 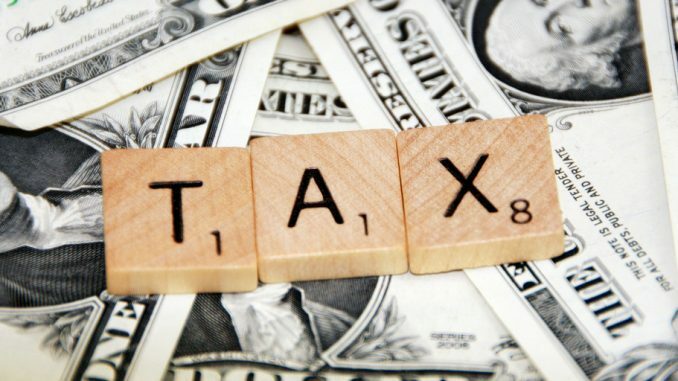 This would eliminate the need for a SALT deduction and ensure that all state and local taxes trigger matching federal subsidies, not just state and local taxes that fall on the relatively small sliver of people who neither take the standard deduction nor pay the alternative minimum tax.